OneSTL - Drawdown EcoChallenge - Rise to the Challenge! Home	 News	 Drawdown EcoChallenge - Rise to the Challenge! Climate change is an imminent and significant threat to our society and future generations. That knowledge can feel overwhelming and cause us to despair. But there is good news! Did you know we have the knowledge and technology needed to address this urgent challenge - to reverse global warming within the next 30 years? Thanks to Project Drawdown, we do! Drawdown is the most comprehensive plan ever proposed to reverse global warming. That’s why EcoChallenge.org and Project Drawdown have partnered to offer the 2nd Annual Drawdown EcoChallenge this April. 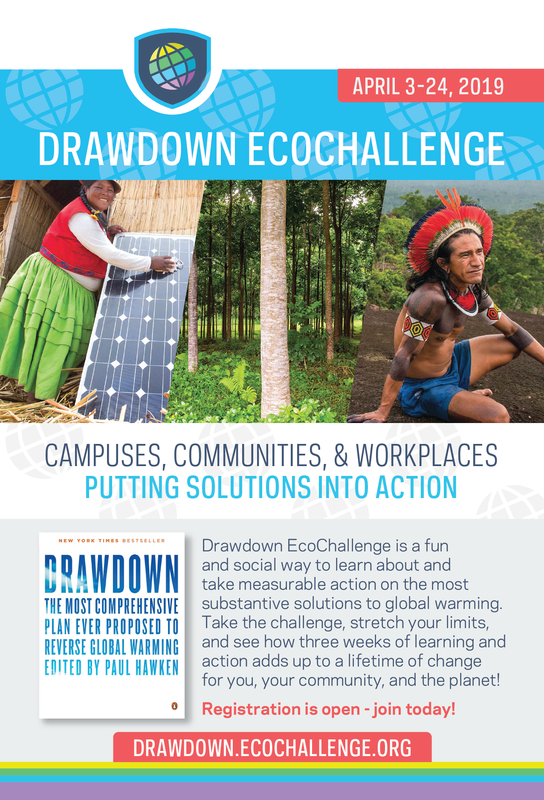 Drawdown EcoChallenge is a free, fun, and social way to take measurable actions to reduce global warming. Join the USGBC-Missouri Gateway Chapter team this spring and be inspired by thousands of others who are making a difference locally, regionally and globally. Gain momentum and inspiration using tools and programs to drive positive change in your personal life, your professional life, and in your community. The challenge takes place from April 3–24, and registration is open now. Take the challenge, stretch your limits, and see how 21 days of action can propel us to a better shared future. Join the USGBC-Missouri Gateway Chapter team here.